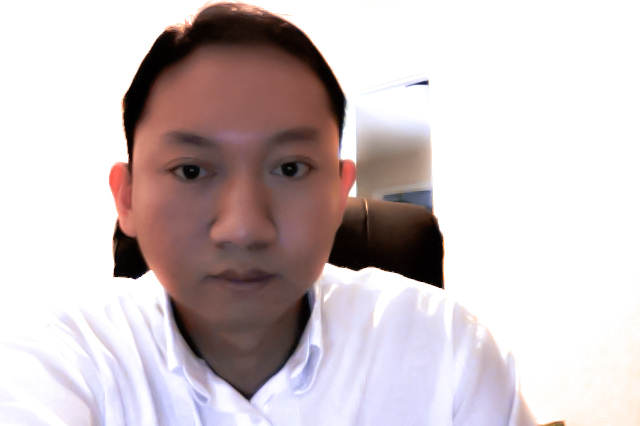 Even though I’m very bad at editing and retouching a photo, I think this photo of me taken with MacBook Pro Mid 2010 model’s iSight was retouched not too badly through the usage of Adobe Lightroom 4 free 30 day trial version. Beauty is in the eye of the beholder, therefore different people have different opinions on how a photo should be retouched. Particularly true when a person who is really in tune with his or her artful feeling, he or she might prefer to have a taste of beauty in a rather unique moment and only in that special moment may bring forth the fountain of artful joy. So, it doesn’t take a true artist to see that Adobe Lightroom 4 is truly powerful, as it allows the average people like you and me to feel as if even a truly underexposure and out of place photo can be retouched and transformed into something that is rather unique, beautiful, and staying true to the meaning of the eye of the beholder. Lightroom 4 is the latest Adobe version of Lightroom photography software, and this software specializes in transforming the available details of any photo. By this I mean you can totally turn a photo which you took at night-time with a camera into a photo that appears as if it was taken in the day-time. Especially, even after doing such a major transformation of a night photo into a day photo, if doing it right the photo will appear unharmed and might even be more stunning then the raw photo itself. To tell the truth, I had never experienced Adobe Lightroom software until now, and I have to say I love it even though I’m late to the whole Adobe Lightroom party. Luckily, according to the video which I will post underneath this blog post, Adobe Lightroom 4 is even more awesome than Adobe Lightroom 3, because there are newer features and better image retouching algorithm(s). I’ve found Adobe Lightroom 4 is super easy to use. Tell you what, when I was messing around with Adobe Lightroom 4 free trial version (free 30 days of usage for the full featured Adobe Lightroom 4 which you can download at Adobe official website), it was like I jumped right into a pool without even testing the water — yet I’d found it was intuitive to use (even without knowing about the hidden features). By sliding the multitude of sliders that designed to manipulate just about any aspect of a photo, I was able to transform a photo into something that was truly fit for my eyes to behold at even though I had zero experience with Adobe Lightroom 4. That was how easy it was for me to use it. Nonetheless, I have to admit, if you’re a person who hates to have tons of stuffs staring back at you, Adobe Lightroom 4 first look might be scary to you as it does look like a tool which specializes for the professional photographers only. Once you get past the hurdle of having, seeing tons of features staring back at you, playing around with one feature at a time can get you really far! It’s also up to how much patience you have so you can endure each unique moment of pushing ahead with each feature so the eventual AH HAH!!! moment would surface and bath you in the rays of artful joy. By the way, if you have had experiences with other simple to complicate photo editing software before (even if those photo editing software are completely aliened to Adobe’s photo editing software), such experiences will definitely make it very easy for you to come to like and use Adobe Lightroom 4. Without further ado, the video right after the break will show you how powerful Adobe Lightroom 4 can be even though the video will only go over how to retouch only one photo. Yet, within this photo, the video shows Adobe Lightroom 4 can basically manipulate the photo to the point of unrecognizable, but in a very very good way! Enjoy! Disclaimer: For your information, I had no association with Adobe and I don’t even know the person who had made the video above, but my praise of Adobe Lightroom 4 is out of artful joy. Afterthought: I forgot to mention that Adobe Lightroom 4 is truly expensive. Looking at it in Mac App Store, Adobe Lightroom 4 is $149.99. I don’t think this software is for somebody who has only couple pictures to retouch with. Adobe Lightroom 4 is more fitting for people who truly care how their photos can be transformed. Adobe Lightroom 4 does support Mac and Windows! What About Symantec’s Identity Safe App On Mac? 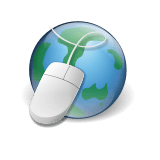 Mac users who use Norton Internet Security for Mac do not have the feature where they can save passwords securely so the passwords can later be autofilled into various web destinations that they frequently visit. Windows users who use Norton Internet Security do have this feature! Just recently, I’ve found out Symantec provides free Identity Safe app in Mac App Store, and so now Mac users have the option of using this app to save and retrieve their passwords with less hassle than before. Unfortunately, Identity Safe app seems to be pretty crude! What I mean by this is that I think it only works with Safari web browser. I can’t really use it with Chrome and Firefox web browser. For an example, once installed the app, added a web destination with its proper credential, clicked on the app icon at the very top of the screen, clicked on the web destination under recent logins list, and a web destination would open in Safari web browser automatically with proper credential filled in (i.e., password and username). Of course, Identity Safe users can click on View All Logins within the Identity Safe app to view username and password for a specific web destination, and by doing this Identity Safe users can manually copy and paste the credential into a web destination with browsers that are not supported by Identity Safe app. This is a hassle of course! Although I haven’t yet tried the import of logins for Safari, I’ve noticed a lot of app reviewers have complained that this app isn’t allowing to batch importing logins (i.e., can only import each login one by one as one has to approve the import for each login). If this is true, then the whole purpose of importing logins from Safari can be rather self-defeating since it will be so cumbersome to actually import hundreds of logins one by one. So, this is another hassle for using Identity Safe app. Even though Symantec’s Identity Safe isn’t yet polished to my liking, I still think it does serve a purpose of safekeeping logins securely. Nonetheless, you have to trust Symantec in order for you to trust and use Identity Safe app. In my case, I do trust Symantec, therefore I don’t mind using this app. In my opinion though, there might be many other password/login apps that may provide better features in safekeeping one’s logins than Identity Safe app. Honestly though, if one doesn’t yet have a good app which helps securing logins on Mac, then I don’t see why one should not use Identity Safe app on Mac since it’s a free logins protection app from a trustworthy security company Symantec. CCleaner is well known to Windows users, but Mac users probably never have even heard about it until now. Yep, CCleaner is now available to Mac users on Mac App Store. It’s no surprise how popular this tool is, because it’s now #1 free download app on Mac App Store. 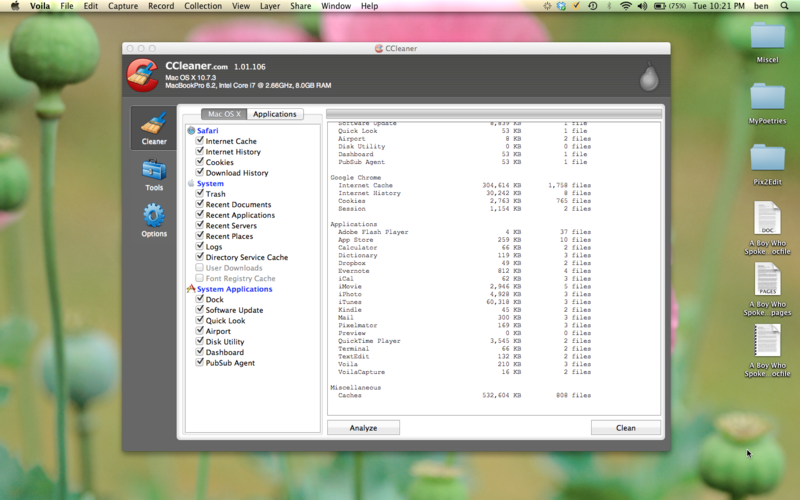 Just like how it works on Windows, Mac users can use CCleaner to clean out temporary data and caches for their Macs. Of course, CCleaner isn’t the only tool/utility to do this on Macs, but the price is too inexpensive to pass up by folks like me. The price is $0.00! Some elite Mac users might cringe at hearing there is another tool to help Mac users clean up their temporary data and caches. Well, novice Mac users might think utilities such as CCleaner a blessing since using command lines to clear up temporary data and caches on Mac might be hazardous. By deleting the wrong data, Mac users might render their Macs useless. Sure, Mac itself might execute cron jobs that automatically clean up temporary data and caches from time to time, but these cron jobs might happen too infrequently for heavily demanded Macs. This is why I think CCleaner and similar popular apps might be good for cleaning up temporary data and caches when on-demand needs arise. Check out the preview of CCleaner on Mac through the video right after the break. I’ve been using Pixelmator quite infrequently, because I don’t have that many photos to edit. Nonetheless, every time I have had to use Pixelmator to edit a photo, I’ve never regretted one bit. 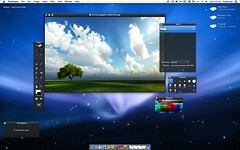 Pixelmator is an amazing, easy to use photo editing software for Mac. I’ve found it easy to understand and intuitive. Another plus thing about Pixelmator is that it’s so affordable. Instead of costing an arm and a leg, at we speak Pixelmator is only around $30. On the contrary, Photoshop is way more expensive. But there is Gimp, you say! Sure, Gimp is FREE and might be even more powerful than Pixelmator, but Gimp is not for the beginners. I think whoever has just invited himself or herself into the world of photo editing, he or she might find Gimp to be a little intimidating, but Pixelmator is probably going to be a lot nicer to these folks. Oh, of course if you don’t have a Mac, Pixelmator might cost you more than an arm and a leg, because you have to get a Mac first! Anyhow, I’ve made a video which you can watch right after the break, and this video introduces and allows you to see Pixelmator in action. The things that are included in this video are the introductions to several Pixelmator filters, tools, layer, layer mask feature, export feature, and other features. I hope you will be able to enjoy the video on Pixelmator right after the break!